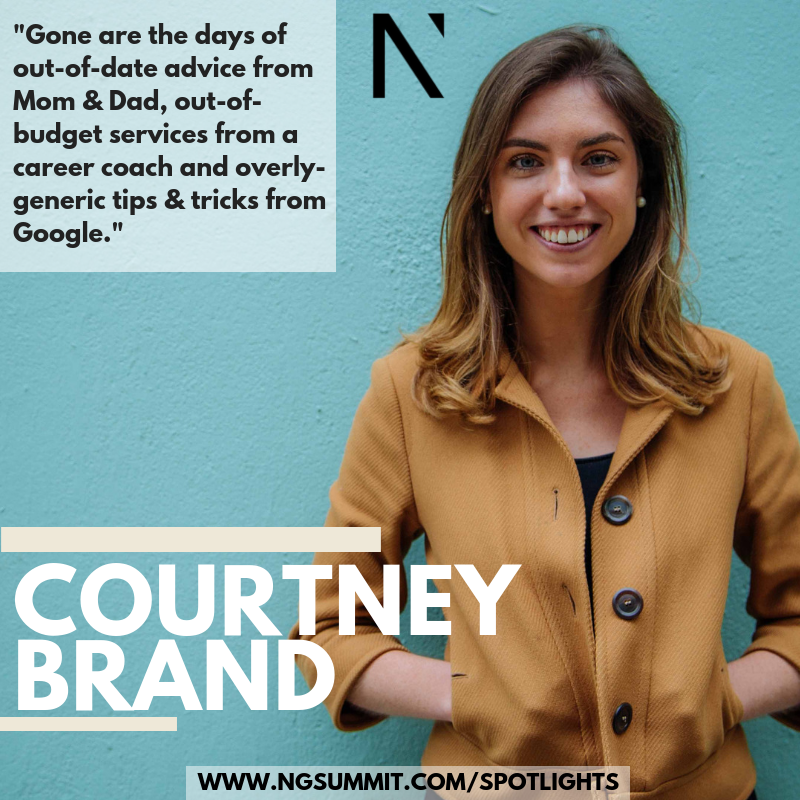 Meet Courtney Brand - Founder of thelighthouse - the online career community for young professionals, which connects you with industry insiders for video calls. She shares her best career networking hacks. thelighthouse is an NYC-based start-up empowering young professionals with the network, insights and advice to get the most out of their careers. We do that by connecting you directly to curated industry insiders for one-on-one career video sessions. Gone are the days of out-of-date advice from Mom & Dad, out-of-budget services from a career coach and overly-generic tips & tricks from Google. From optimizing your resume to figuring out a job search strategy, you'll get insights and support from someone who was just in your shoes and got to where you want to be. Every morning I wake up and do a 15-minute yoga sequence that aligns me for the day. It's a Youtube class that's ironically called "Man Flow Yoga for Morning Confidence + Energy". If you're looking for an 'intro path' to a specific company, type into Google: "LinkedIn, [your university name], [company name]". If it's a medium to large sized company, chances are that at least one person from your university works or has worked there. Add them on LinkedIn, play up that school pride in the brief message and once they've accepted you, follow up to schedule a 20-minute informational. This is my favorite 'networking hack' and landed me an internship in Shanghai when I had zero connections to the business world in China.